Oh. My. God. SO many AMAZING dystopians for 2012. Seriously. I can't get enough of them. I checked this out from the library and made my husband read it while I was reading another book. He likes Dystopians as well and I'm always throwing books at him to read. He liked it, so I knew I would definitely like it. Not that I didn't already know that from the summary! I finished this over a week ago, but I still get all happy and excited when I think about it. It was just SO amazing. I seriously had to read TWO contemporary books just to try and get out of its world. The world that Aria lives in is REALLY scary. But so amazingly real! Every time I picked up this book to read I was drawn into it and felt like I was right there experiencing everything. I got frustrated, and sad, and scared, and embarassed EVERYTIME Aria did. Her emotions were so well and the writing was so descriptive that everything was real. It's also told in alternating perspectives between Aria and Perry. I really loved being able to get into Perry's head. It really helps to understand the things he does and not just what Aria thinks he's doing when she experiences it. At first I really wanted to smack Perry for being so mean to Aria, but I quickly fell in love with him and he's one of my top favorite characters from the book. I loved nearly all the characters, except for Soren and his dad and of course the creeps they met along the way. Not going to go into too much detail because you just really need to read it yourself. Overall, this is a wonderful dystopian. I don't really have any complaints at all about it. If you haven't read this yet, do so immediately. Definitely addicting and one of my top favorite dystopians now. The second book in this series is called Through the Ever Night. It will be released on January 8th, 2013. Also, as a side note, this is definitely one of the BEST book trailers I have ever seen. It seriously makes me want this book turned into a movie even more than I already do. Past, Present & Future Reading Pile is a feature I do on my blog every Sunday to keep track of the books I read the week before, the book I'm currently reading, and the books I'm hoping to read in the upcoming week. When "Summer Fling" Luke uses the L word (Living Together), Lizzie is only too happy to give up her plan of being postgrad roomies with best friend, Shari, in a one-room walk-up in exchange for cohabitation with the love of her life in his mother's Fifth Avenue pied-a-terre, complete with doorman and resident Renoir. But Lizzie's not as lucky in her employment search. As Shari finds the perfect job, Lizzie struggles through one humiliating interview after another, being judged overqualified for the jobs in her chosen field--vintage-gown rehab--and underqualified for everything else. It's Shari's boyfriend Chaz to the rescue when he recommends Lizzie for a receptionist's position at his father's posh law firm. 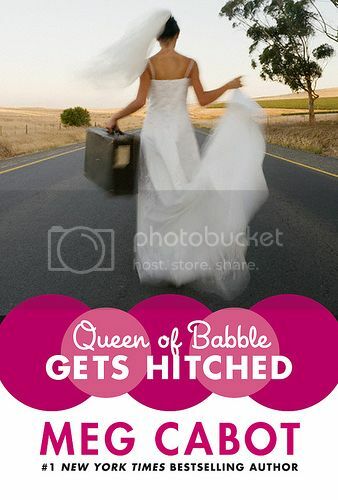 The nonpaying gig at a local wedding-gown shop Lizzie manages to land all on her own. 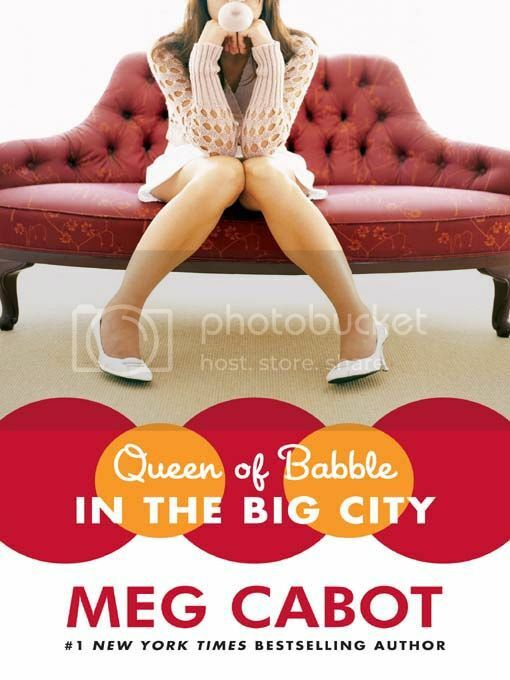 But Lizzie's notoriously big mouth begins to get her into trouble at work and at home almost at once--first at the law firm, where she becomes too chummy with Jill Higgins, a New York society bride with a troublesome future mother-in-law, and then back on Fifth Avenue, when she makes the mistake of bringing up the M word (Marriage) with commitment-shy Luke. Soon Lizzie finds herself jobless as well as homeless all over again. Can Lizzie save herself--and the hapless Jill--and find career security (not to mention a mutually satisfying committed relationship) at last? 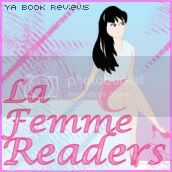 I wasn't very far into this book when I posted last week's P, P, & F post. But I finished it on Monday and it was really good! LOVE this series. Big mouth. Big heart.Big wedding. Big problems.It's the wedding of the century. Things are looking up at last for Lizzie Nichols. She has a career she loves in the field of her choice (wedding gown restoration), and the love of her life, Jean-Luc, has finally proposed. Life's become a dizzying whirl of wedding gown fittings--not necessarily her own--as Lizzie prepares for her dream wedding at her fiance's chateau in the south of France. But the dream soon becomes a nightmare as the best man--whom Lizzie might once have accidentally slept with . . . no, really, just slept--announces his total lack of support for the couple, a sentiment the maid of honor happens to second; Lizzie's Midwestern family can't understand why she doesn't want to have her wedding in the family backyard; her future, oh-so-proper French in-laws seem to be slowly trying to lure the groom away from medical school and back into investment banking; and Lizzie finds herself wondering if her Prince Charming really is as charming as she once believed. Is Lizzie really ready to embrace her new role as wife and mistress of Chateau Mirac? Or is she destined to fall into another man's arms . . . and into the trap of becoming a Bad Girl instead? 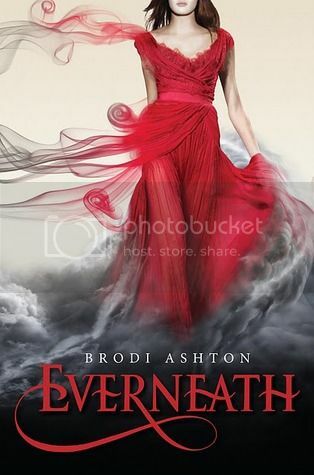 "Everneath" is a captivating story of love, loss, and immortality from debut author Brodi Ashton. I have less than a hundred pages left of this to read. I started reading this on Wednesday. It's really interesting. 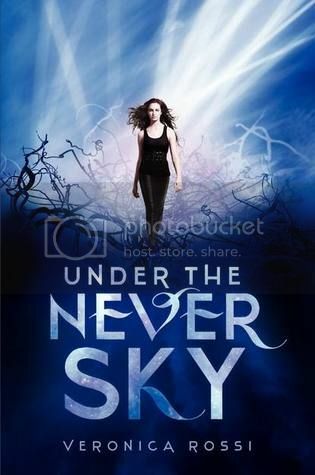 :D Already know I'm going to be impatiently awaiting the next book. 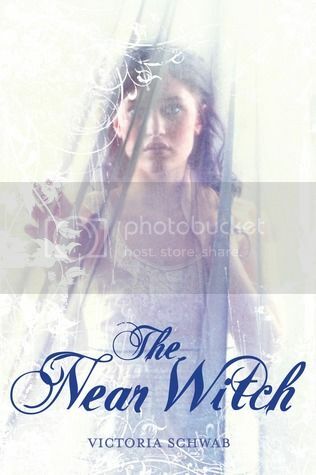 "The Near Witch is only an old story told to frighten children. "" ""If the wind calls at night, you must not listen. The wind is lonely, and always looking for company. "" ""And there are no strangers in the town of Near." These are the truths that Lexi has heard all her life. But when an actual stranger--a boy who seems to fade like smoke--appears outside her home on the moor at night, she knows that at least one of these sayings is no longer true. The next night, the children of Near start disappearing from their beds, and the mysterious boy falls under suspicion. Still, he insists on helping Lexi search for them. Something tells her she can trust him. 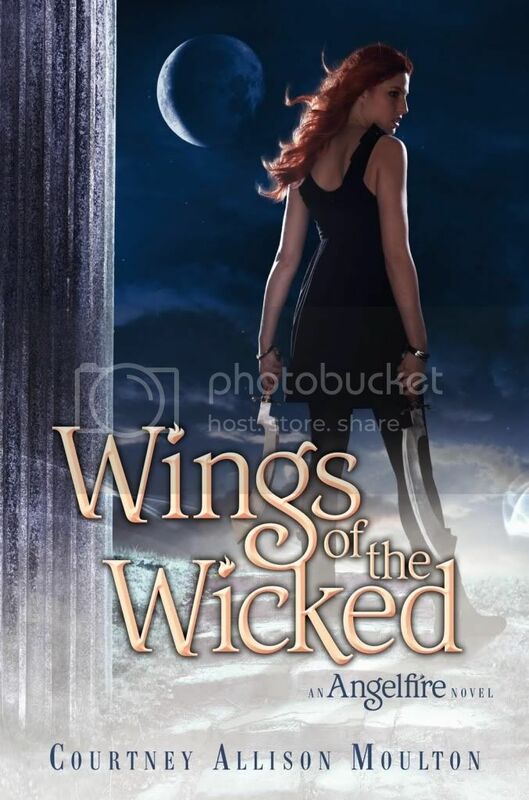 As the hunt for the children intensifies, so does Lexi's need to know--about the witch that just might be more than a bedtime story, about the wind that seems to speak through the walls at night, and about the history of this nameless boy. Part fairy tale, part love story, Victoria Schwab's debut novel is entirely original yet achingly familiar: a song you heard long ago, a whisper carried by the wind, and a dream you won't soon forget. 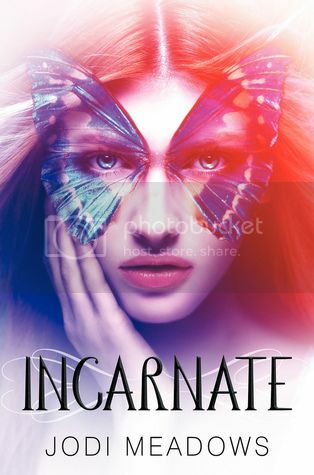 Life as the Preliator is harder than Ellie ever imagined.Balancing real life with the responsibility of being Heaven’s warrior is a challenge for Ellie. Her relationship with Will has become all business, though they both long for each other. And now that the secret of who she really is has come out, so have Hell’s strongest reapers. Grown bold and more vicious, the demonic threaten her in the light of day and stalk her in the night. 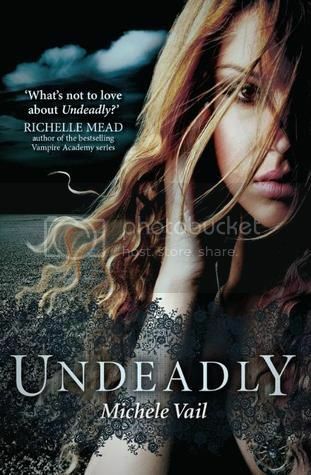 She’s been warned.Cadan, a demonic reaper, comes to her with information about Bastian’s new plan to destroy Ellie’s soul and use an ancient relic to wake all the souls of the damned and unleash them upon humanity. As she fights to stay ahead of Bastian’s schemes , the revelations about those closest to her awaken a dark power within Ellie that threatens to destroy everything—including herself. She’ll be betrayed.Treachery comes even from those whom she loves, and Ellie is broken by the deaths of those who stood beside her in this Heavenly war. Still, she must find a way to save the world, herself, and her love for Will. If she fails, there will be hell to pay. Ever since finishing Angelfire, I've been DYING to read this. Just haven't gotten to it....But anyway, I'm SO excited! 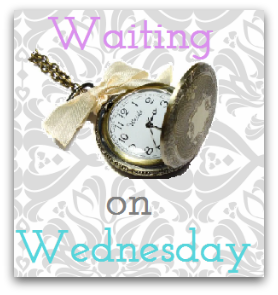 Waiting on Wednsday is a weekly meme hosted by Jill @ Breaking the Spine. WOW spotlights upcoming releases that you are dying to read and can't wait to get your hands on! This sounds REALLY good and unique. The only books I think I've read that have reapers in it is the Soul Screamers books by Rachel Vincent, which I absolutely LOVE. And there's an academy for necromancers?! Can't wait to get my hands on a copy of this book to read! Wow. That is the word that still comes to mind when I think about this book. I finished this book on the 3rd of this month and the power of this book still stays with me. It completely blew me away and makes me want to go back right away and re-read it. I wish I would of been able to read this sooner! As some of you may know, I'm a sucker for the Dystopian genre. And this Dystopian? Wow! This book was SO unique! I love Dystopians, but if you read a lot of Dystopians you see that some of them may be unique, but also have around the same type of things in them. (If that makes sense!) But I can't think of ANYTHING that is anywhere near this book. Another thing that I happen to love and be really interested in is reincarnation. Which is also something that really drew me to this book. (Other than that GORGEOUS cover! I mean look at it! Every time I see it I have to stare at it for at least 5 minutes straight.) There is just something about reincarnation that is really interesting. And the people in this book know everything about their past lives! It's SO cool! Although Ana bothered me sometimes, I really liked her character. She kept her guard up when it was needed and she was really smart. She may have been a newsoul and didn't have millions of years of experience, but she was really smart. And even when a lot of the people didn't welcome her with open arms, she still put her life at stake to help protect them when it was needed. She's extremely brave, and I really liked that about her. Plus, she was just fresh. You know what I mean, right? Also, just to let you know, a lot of characters in YA nowadays are falling in love at first sight, which gets really old. That didn't happen with Sam and Ana. Yes, Sam was friendly toward Ana and they both put their lives at stake to help each other. But their relationship grew and grew after spending time with each other and as they learned more about each other. And their relationship was so pure and beautiful and after a while I was BEGGING for something to happen with them. It drove me CRAZY, but in a good frustrating way. The second book in this series is called Asunder. It will be released on January 29, 2013. 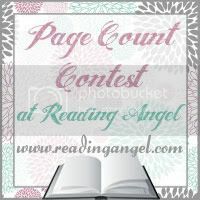 We are currently accepting YA books for review. Currently no self-published, though. 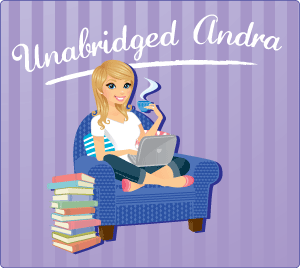 Please refer to my Review Policy before e-mailing Vintage Bookworms for a request at vintagebookworms[at]live[dot]com. Megan's reading . . .
Any books that I review on the Vintage Bookworm, were either: purchased by me, gifted to me, borrowed, or sent to me for review in exchange for my complete and honest opinion. I do NOT and will NEVER receive any form of compensation for any books that I review. This blog is not a job to be, just something that I love to do in my spare time. To find out more about the FTC Disclaimer, click here. 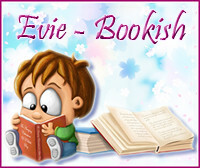 Site and content © 2010-2012 Amanda Kelley (Vintage Bookworm). All Rights Reserved.Layout created by Amanda of The Vintage BookwormCreated using the Simple layout. Powered by Blogger.